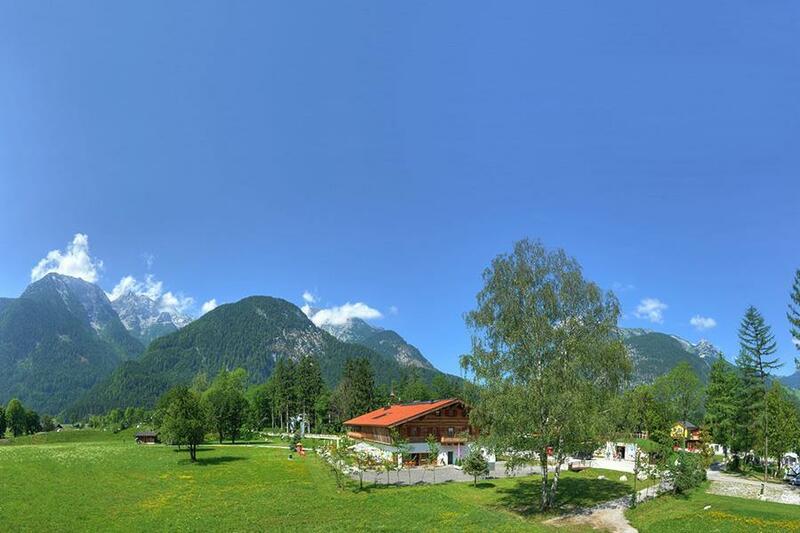 Campsite Park Grubhof is a campsite with 225 touring pitches and 10 year round pitches. During low season, between 06-01-2019 - 24-03-2019, 12-04-2019 - 08-06-2019 and 01-09-2019 - 03-11-2019, the nightly rate is €20,- at one of the 225 touring pitches at Campsite Park Grubhof in Sankt Martin bei Lofer (Salzburg). At this campsite you can not only use your CampingCard ACSI for inexpensive camping, you can also use your ACSI Club ID (as an alternative ID). Idyllically situated in the grounds of an old park right by the river. Beautiful mountain views. Perfect for cyclists and walkers. Modern toilet buildings and mega-comfort pitches (up to 200 m²). Separate fields for families, campers without children and dog owners. Run with care and enthusiasm by the Stainer family. Sauna, wellness en winter camping. Camp sites don't come much better than this. Pitches very spacious and one caravanner commented that the toilet facilities were better than he had at home! Easy 15 minute walk into Lofer for shops and restaurants etc. There is nothing to criticise except perhaps there could be more facilities for children. Would you like to book Campsite Park Grubhof or request more information? You can do both using the information below or by visiting the campsite's website. Leave the B312 in Lofer in the direction of Zell am See (B311). Turn left after 1 km. The campsite is signposted. CampingCard ACSI will send your information request to "Campsite Park Grubhof".